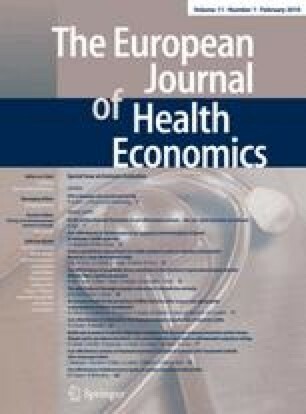 This paper proposes a thorough framework for the economic evaluation of telemedicine networks. A standard cost analysis methodology was used as the initial base, similar to the evaluation method currently being applied to telemedicine, and to which we suggest adding subsequent stages that enhance the scope and sophistication of the analytical methodology. We completed the methodology with a longitudinal and stakeholder analysis, followed by the calculation of a break-even threshold, a calculation of the economic outcome based on net present value (NPV), an estimate of the social gain through external effects, and an assessment of the probability of social benefits. In order to illustrate the advantages, constraints and limitations of the proposed framework, we tested it in a paediatric cardiology tele-expertise network. The results demonstrate that the project threshold was not reached after the 4 years of the study. Also, the calculation of the project’s NPV remained negative. However, the additional analytical steps of the proposed framework allowed us to highlight alternatives that can make this service economically viable. These included: use over an extended period of time, extending the network to other telemedicine specialties, or including it in the services offered by other community hospitals. In sum, the results presented here demonstrate the usefulness of an economic evaluation framework as a way of offering decision makers the tools they need to make comprehensive evaluations of telemedicine networks.